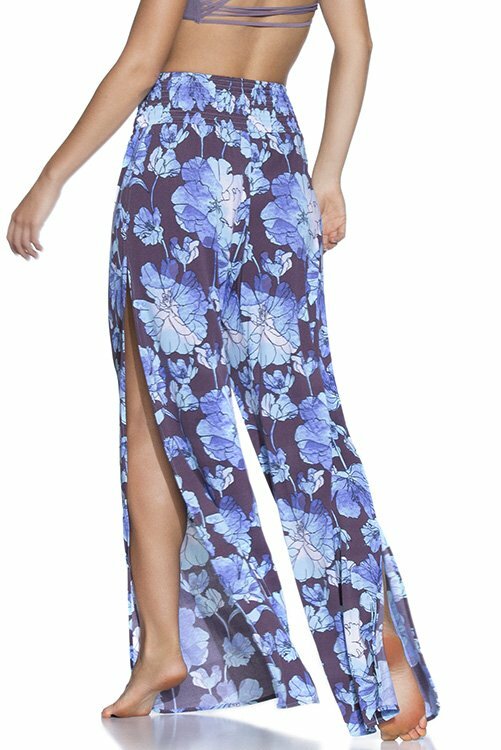 Gorgeous breezy pants that transitions easily from beach to street. Mix and match with Crystal Blue Allure Reversible Top, Sierra Nevada Fashion Top, and Fig Delightful Fixed Triangle Top. 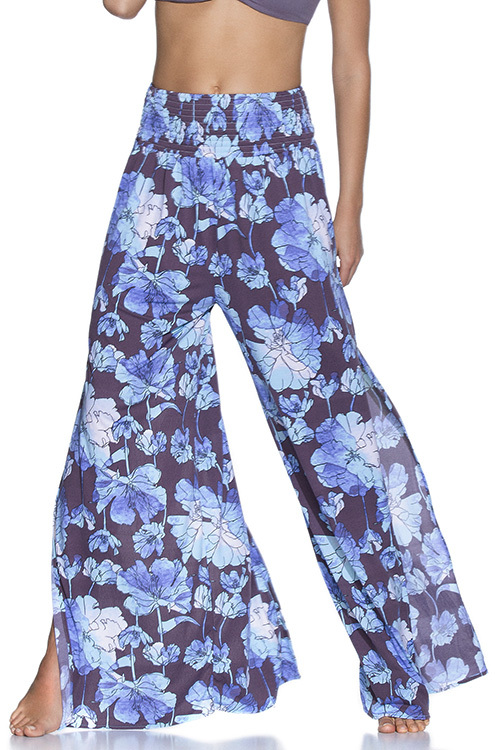 Maaji’s Watercolor Lagune Pant features a lightweight construction as well as a soft, pull-on fit. 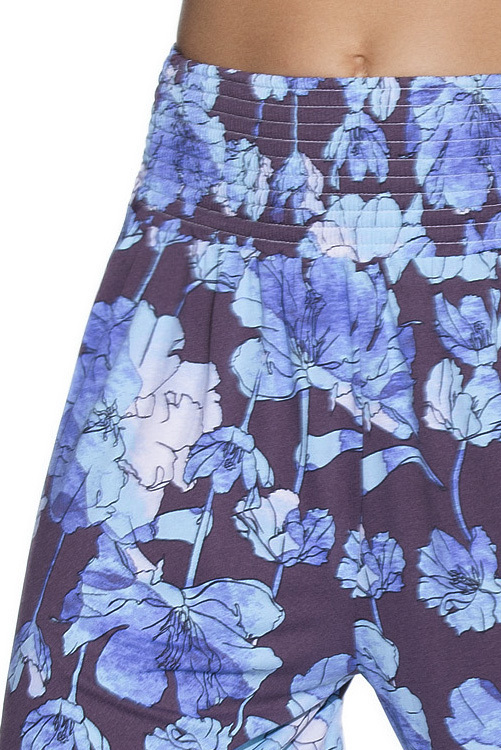 Wide, relaxed waistband and loose leg design. Thigh high slits on each legs. Maxi length hemline. Also looks beautiful on or off the beach.